Water quality threats from Rockwool are also very serious. 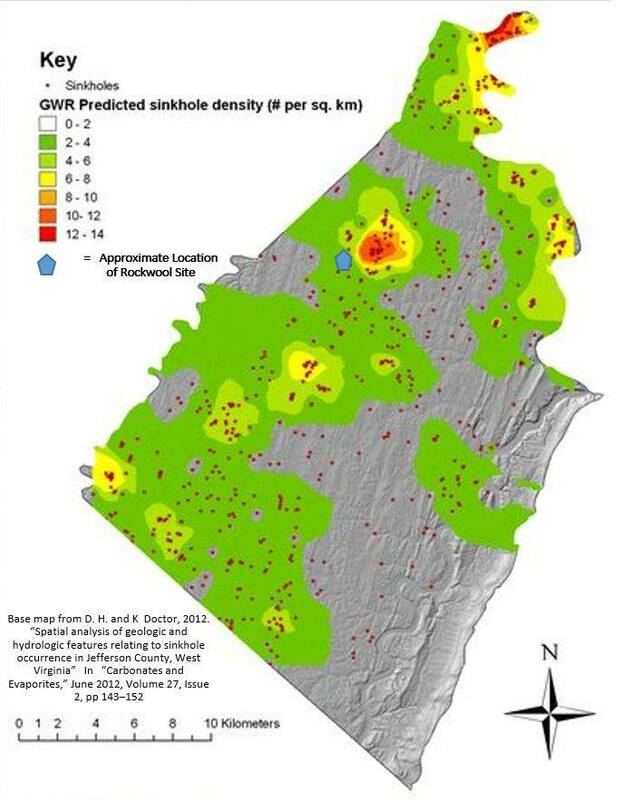 These maps show the Rockwool site location relative to sinkholes and county streams. Locating a huge plant next to a sinkhole hotspot is just plain nuts from the standpoint of pollutants entering our groundwater, it is also asking for problems with the structural integrity of the plant building and associated sewer lines. The plant’s location is at the headwaters of many county streams. Groundwater contamination is the real story, a spill or leaking sewer line would be a health and safety nightmare as the material can move underground very rapidly, be difficult to track, and almost impossible to clean up. The public health risks cannot be overstated for they can easily be catastrophic with rapidly spreading pollutants and pathogens moving underground over a landscape dense with drinking water wells. This can cause widespread illnesses which could be fatal, especially to infants, the elderly or people with suppressed immune systems, creating an emergency response nightmare. Wind can carry air pollution away but groundwater can remain contaminated for 100s of years. Most of us use well water, what will we do if our groundwater is no longer any good? In the 1990s, a county study injected dye into a well near Bardane (in the Elk Run watershed) but very quickly (less than two weeks) the dye was also found in Rocky Marsh Run, almost 8 miles away. It moved rapidly underground over a large landscape. (see Kozar, M. D., et al., 1990. 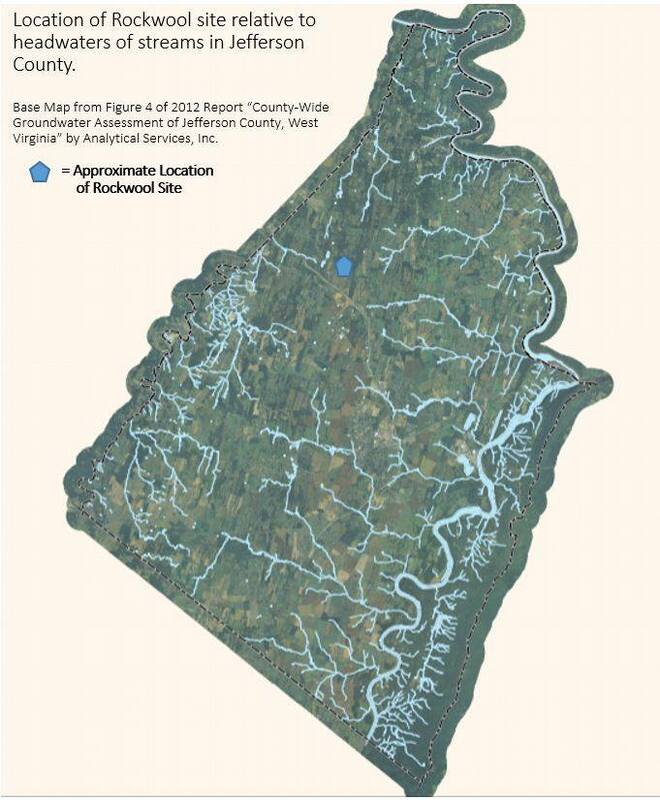 Geohydrology, Water Availability, and Water Quality of Jefferson County, West Virginia, with Emphasis on the Carbonate Area. U.S. Geological Survey, Water-Resources Report 90-4118). I agree 100 per cent.